Tile and slate roofing upgrades any home. It doesn’t only look good, either. There are many advantages to installing a tile and slate roofing system. 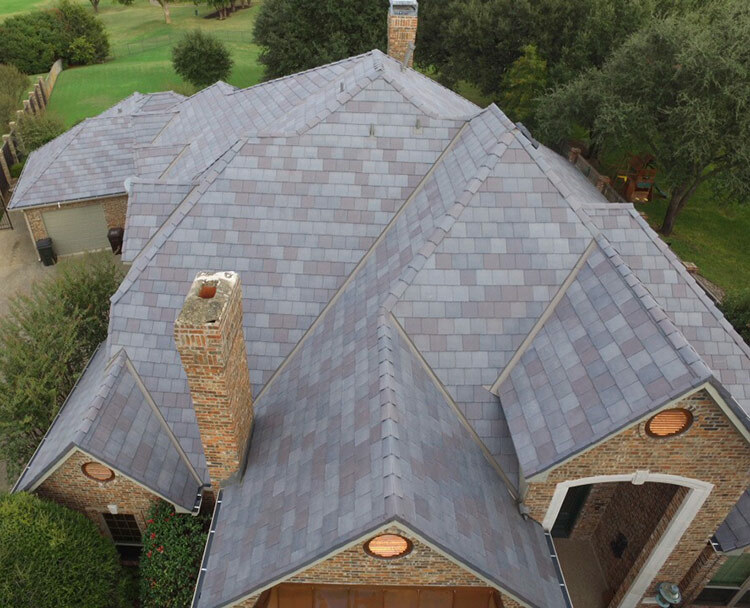 Roof tile and slate in Euless, Frisco, Grapevine, and other cities in the area compliment the climate and many home designs. Due to the tile’s weight compared to other traditional roofing systems, this option may not be ideal for all structures. That’s where SPC Construction and Roofing can come in and tell you what roofing system is best. You can schedule a free roof inspection at any time if you’re ready to discover your new roofing options. Roof tile and slate is an ancient way of roofing housing structures. That’s because of its longevity. These roofs can last 50 to over 100 years. It requires highly skilled workers to install it properly, but the effect can’t be replicated. Tile and slate roofing looks beautiful and classic. To make slate and tile roofing, materials are sourced from all over the United States. Interesting to note, some tile and slate roofing may also be recycled. So, if you’re interested in an eco-friendly option, recycled tiles may be available to you. At SPC Roofing, we offer warranties, fast installation times and a variety of tile and slate varieties such as Roman, flat, barrel and tower tiles. We’ll work with you on pricing to get the best roof money can buy! Call 817.684.1088 today or schedule your FREE roof inspection here!